After waiting all day for the NCAA Tournament Selection Show and then waiting some more to learn their seeding, the Florida Gators were an anxious bunch on Sunday. Of course, CBS made them sweat a little more, as other teams with similar resumes continued to be checked off while Florida had yet to be called nearly 30 minutes into the broadcast. The Gators had to be in, right? They were one missed call away from playing in the SEC Tournament Championship and were really starting to turn things around. 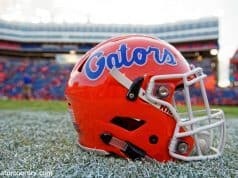 Everyone finally took a breath as Greg Gumbel confirmed Florida was in with just a few spots left to fill. And maybe they deserved to feel a little on edge after the ridiculously inconsistent season they’d had. Once that logo popped up on the screen, the celebration was on. For about five minutes. Then, it was back to business. 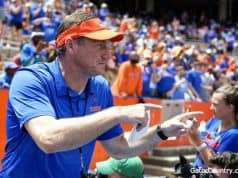 While the Gators turn all focus to taking on an excellent Nevada squad on Thursday, this team will have plenty to look back on and take pride in when it is all said and done. At several points, Florida could have easily thrown in the towel. Any chances for making the tournament seemed to be slipping from its grasp. Then, seemingly out of nowhere, things started coming together. The Gators were still far from a great team, but selfishness dissipated and leaders emerged. 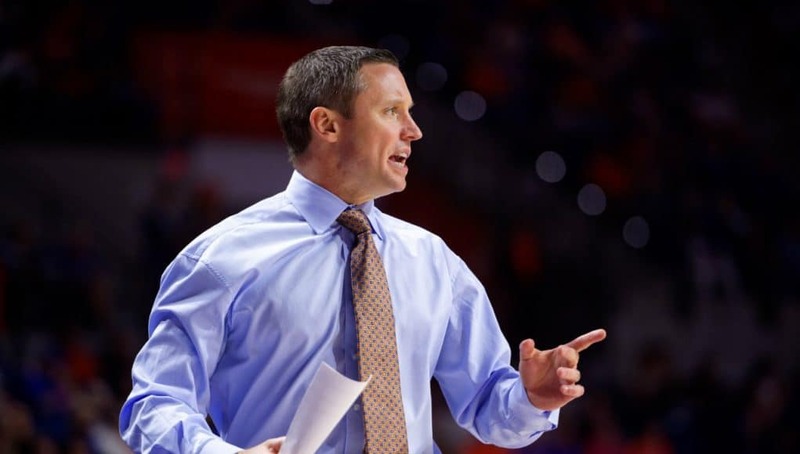 White wants Florida to believe it is more than a one-and-done or Round of 32 caliber team. He even had one of his assistants do some research on past 10-seeds that have made long runs to prove to his players that it is very possible. Then, he reminded them of the Loyola-Chicago team that came into Gainesville last season and handed it to Florida before ultimately making it to the Final Four as a No. 11 seed. 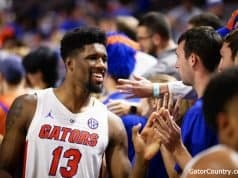 Despite the rollercoaster ride that was the 2018-19 season, everything still remains in front of the Gators. Growing up the daughter of a baseball coach in a household that revolved around Gators sports, Bailiegh’s future working in sports was her destiny. She played four years of varsity softball at Suwannee High School and one year on softball scholarship at Gulf Coast State College. In her first year she discovered a love for journalism so she packed her bags and moved to Gainesville to finish her A.A. and begin interning for Gator Country. She is now on track to graduate from the University of Florida in 2019. In her free time, Bailiegh enjoys binge watching her favorite TV shows and spending time with her family and her two fur babies. It would have been nice to be in Jacksonville but I’ll take it.